Aloha from Kailua, Hawaii. I'm a retired elementary school teacher and I've been doing craft work for about 15 years, mainly as a hobby. 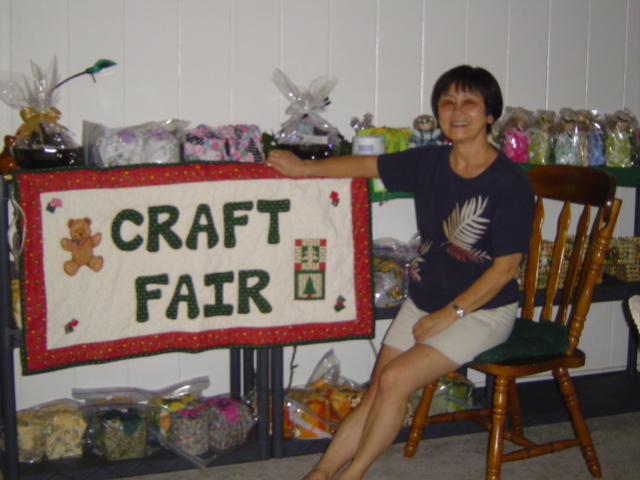 I invite friends and relatives to my annual craft fair in early November at my home in Kailua, Oahu. Several cousins and friends join me so I have a wide variety of products like baked goods, cards, and jewelry. However I take orders all year round. I am constantly adding new products so come back to my website periodically. I'm having my first Spring Fair on Thursday, March 18 from 8 a.m. to 6 p.m. during Spring break. You can reach me at (808) 262-9890 or otaL002@hawaii.rr.com. for directions to my home. Aloha and mahalo for visiting my website! !